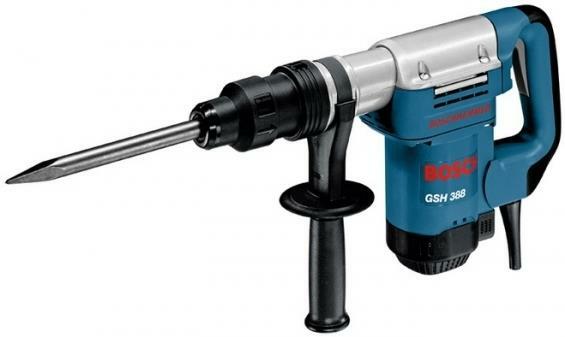 Bosh Pro GSH 388 is the power demolition hammer for maximum chiselling and longest lifetime. Rated power input: 1.050 W.
Max. impact energy: 7,1 J. Impact rate at rated speed: 2.800 min-1. Vibration emission value ah: 16.0 m/s². • Rated power input: 1.050 W.
• Max. impact energy: 7, 1 J. • Impact rate at rated speed: 2.800 min-1. • Vibration emission value ah: 16.0 m/s². • Uncertainty K: 2.0 m/s². • Weight: 4, 9 kg.